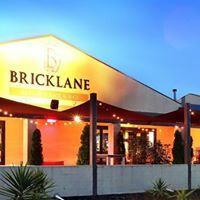 Bricklane is one of New Lynn’s favourite family restaurants complete with a full courtyard area and over 200 carparks, making it perfect for your next event whether it be a birthday, engagement, anniversary or business lunch. The Crown Lynn Room is your own private space accommodating up to 50 people seated or 70 people cocktail style including your own sectioned area in our leafy courtyard. Our kitchen team have created menus for any occasion and can tailor options to suit your event. They can also create cakes for your celebration by arrangement. 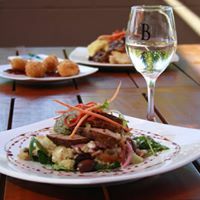 Great food, wine and service - will definitely return. Awesome Friendly staff, great food and great atmosphere. Loved my pavlova and service. We had a birthday there recently and the staff were very accommodating. Great service and good food. We loved the food & the service. We are definitely going back. 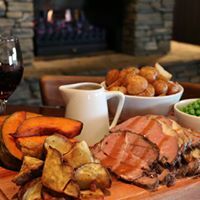 The food last night was once again outstanding, please pass on our thanks to your chef, the meals have been of a consistent standard so far this year. We are very happy. Our only quibble is the temperature of the Crown Lynn Room. It has been particularly hot in the room through the summer months, the outer doors do not give any air flow as there are no windows to open. Last night was a problem as there was a nice breeze from one direction but those in it's path were cold! Does this room have any sort of air conditioner or proper ventilation system? 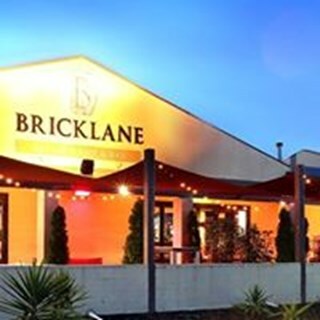 Always a great experience at Bricklane. Super friendly staff and superb food at a great price. We will come again! The Thai chicken was too salty for my liking and so were the chips. Go easy on the salt please. Good food and good value for money. great service , cater for larger groups with ease , recommended  , the deals everyday a bonus. Thank you so much for having our big group yesterday! It was a very busy day for the restaurant but everything ran smoothly and our food arrived promptly. It was certainly worth ordering before-hand. Our waitress was lovely and even helped us take pictures despite being so busy. Thank you! Will definitely be coming back, happy friendly staff. We went for Quiz night. Highly recommend it. Fun night out with good sized platters. Drinks were great and staff friendly. Will definitely be back soon. 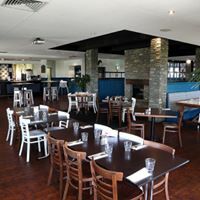 Consistently good quality family restaurant and bar. Amazing deserts! The staff were extremely efficient and friendly and the food was delicious. We will definitely be back. Very happy . The fòod was lovely . Great service. Unfortunately the food got a bit too filling couldn't quite finish it. Would definitely go back. We really appreciated the lovely roast chicken and amazing pavlova dessert you served to us at our first dinner club meeting for the year, congratulations to the Chef and all!